FRESNO — Profs. Barlow Der Mugrdechian and Hagop Ohanessian and student participants of the Summer Study Program will speak on the “Armenian Summer Study Program 2017: Reflections” at 7:30PM on Tuesday, October 24, 2017, in the University Business Center, Alice Peters Auditorium, Room 191. The presentation is part of the Fall Lecture Series of the Armenian Studies Program. 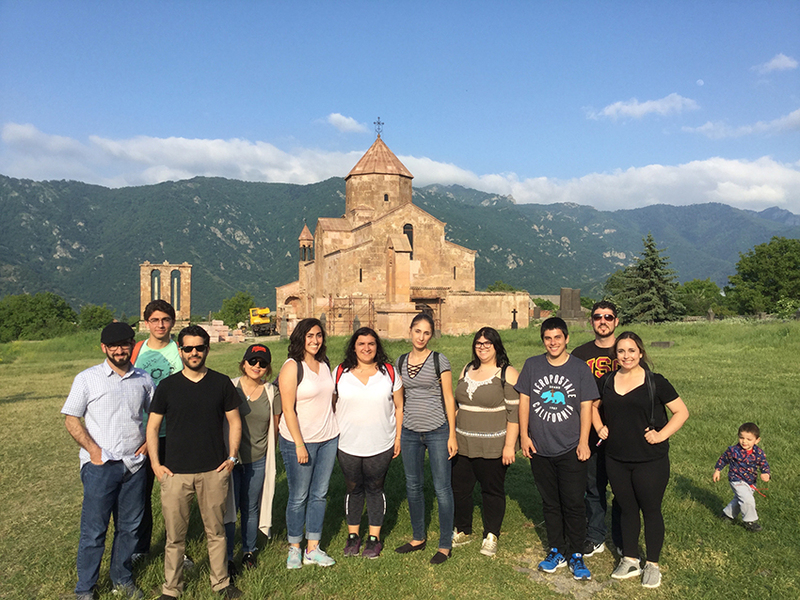 Professors Barlow Der Mugrdechian and Hagop Ohanessian led a group of thirteen Fresno State students on the Armenia Summer Study Program, May 24-June 9, 2017. While in Armenia students visited the major cultural and religious sites in Armenia, including visits to Holy Etchmiadzin and the Monastery of Tatev. They visited the Armenian Martyrs Monument and had a special tour of the Armenian Genocide Museum led by Director Hayk Demoyan. A visit to Mer Hooys-House of Hope, a home of disadvantaged girls was especially meaningful. There were many of these unforgettable experiences during the trip. The group will share its reflections of some of the most memorable moments through videos and photographs. They will discuss the lasting impact of the Summer Study trip to Armenia. For more information about the lecture please contact the Armenian Studies Program at 278-2669, or visit our website at www.fresnostate.edu/armenianstudies or visit our Facebook page at hyesharzhoom.om.